The Nike Basketball colorways that Kobe, LeBron, and Durant will lace up at away games have dropped. There are links below each image. The KD 8 colorway is known as an away colorway (nicknamed ‘Road Game’), the Kobe X is called the ‘Draft Day’, and the LeBron 13 is the ‘On Court’. All three are shoes that the Nike Basketball big three will wear away from home. 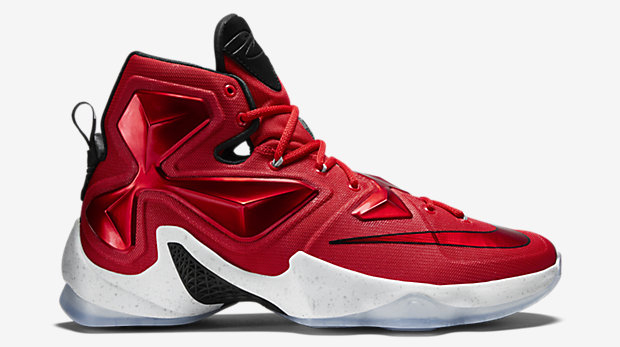 LeBron’s pair sticks to the red, black, and white motif that has been on his road shoes since he started in Miami. Kobe’s purple and orange sneaker is pretty close to the Lakers jerseys, while Kevin Durant’s sneaker has a blue and orange mixture that also matches his road uniform. Check out the pricing and retailers selling each shoe below.